Is A Blog A Startup? KillerStartups > Startup Tools & Guides > Is A Blog A Startup? For some strange reason, blogs aren’t really considered being serious full-blown startups in the online world. It’s probably due to the fact that a blog is not that expensive to launch and doesn’t usually need any seed money to get going. However, if we go to Wikipedia in search for a definition, we’ll find that a startup is simply: “a company or temporary organization designed to search for a repeatable and scalable business model.” There’s nothing about funding, investors, or any other boring things. Now, I’m not saying that Wikipedia is the most reliable source of information on all things business, but this is quite spot on. So what’s the tough part for blog startups? Mainly, the lack of a clear business model. If you can’t really explain to anyone what it is you’re doing (your business goals and mission) other than publishing posts then you’ll find it really hard to get people to treat you and your little site seriously. This is the boring part for most businesses. I mean, we all know what we want to do, but using the right words to describe it and actually arouse some interest in the market is a completely different ballgame. There are a lot of definitions of a business mission, the most easy to grasp one I’ve come across is this: It’s how you want to improve the lives of your audience by offering a specific product or service. Improving lives is the keyword here. I know that it sounds profound, but it has to. If you have nothing of that magnitude to offer then making any sort of significant profits will be very difficult. Now, the mission itself should be smart, interesting, and exciting, but the language you use to describe it doesn’t have to be smart, or in any way official. If you want to make your mission easy to grasp, the language you use has to be easy to grasp too. Simply act like you’re talking to a fifth grader. Moreover, the mission of a mission, so to speak, is to convey the main benefit of what you’re offering in an attractive way. The language is very simple, yet it conveys the main benefit quite clearly. The biggest problem with airlines, from a customer’s point of view, is the need to arrive two hours before the flight. Not wasting life at airports is surely something every traveler can relate to. For blogs, even though they are far from the airline market, the approach for creating the mission statement is the same. Start with your target audience, find the most lively problem they’re facing on a regular basis, and make fixing it your mission. Goals are the steps to making this mission reality. Usually, they are the most important milestones from a business point of view. You probably know best how to craft them, so there’s no one-size-fits-all solution I can advise. 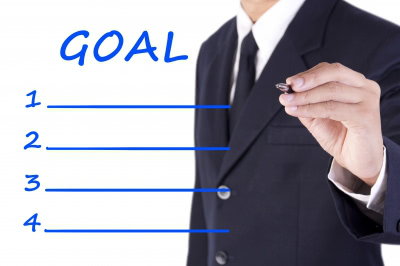 However, make your goals measurable and ambitious. Make them go above your comfort zone … be difficult enough that you’re not actually sure if you’re going to be able to achieve them. Once you’re done with that you can move to the next step. Since we’re talking about blogs, making a presence is quite simple. You just have to take care of publishing regular content, paying attention to SEO, and getting guest post spots on other more popular blogs. I realize that it’s a lot easier said than done. But no matter how tough things get, you need to stay on track and keep doing your job. In the blogging world, results rarely come overnight, so be ready to put in some serious work if you want to make it. The best way of organizing your work is to create a publishing schedule and a bank of ideas. The publishing schedule is pretty self-explanatory. 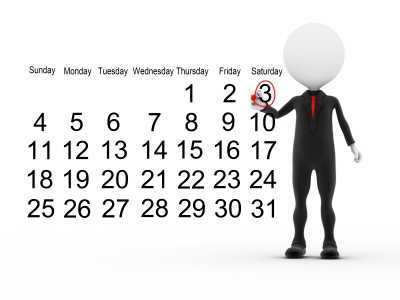 It’s just a calendar marked with the dates when you want to publish new posts, guest posts, and everything else you’re producing. A bank of ideas can be a simple spreadsheet containing all the headline ideas you have for new posts (or even short seed paragraphs and descriptions). However, these two things will only help you as long as you treat them seriously. Don’t justify yourself for postponing some tasks here and there. Your schedule should be treated like it’s written in stone. Partners are important for every business, not only for startups of the 21st century, but even for simple mom and pop barber shops. There’s a rule in business I enjoy quite a lot: Who you know is a lot more important than what you know. Thankfully, the internet makes finding partners a lot easier. Most of the time you just have to do a Google search for your own keywords and pay attention to who’s showing up on the results pages. The sites that are your direct competitors often make the best partners. Of course, if they’re serious businesses themselves, and not just some spammers. Additionally, you can build partnerships as a byproduct when pitching guest posts. When someone has already seen that you can produce some quality (through your content), pitching them some further ideas for partnerships should be a lot easier than cold-mailing. What to offer? This is up to you. But I’m sure you can come up with something that will be beneficial for both yourself and your new partner. I know that this sounds really corny, but it truly is the final vision you should keep in mind. In my opinion, if you’re not aiming for the top then there’s no point in starting a new venture in the first place. I guess what I’m trying to say is to never stop and never settle for the situation that’s “good enough.” Today, good enough isn’t. I have one more question for you to end this post with. Do you think that it’s possible to get funding for a blog startup? Feel free to share your experience. Karol K. is a freelance blogger and writer. 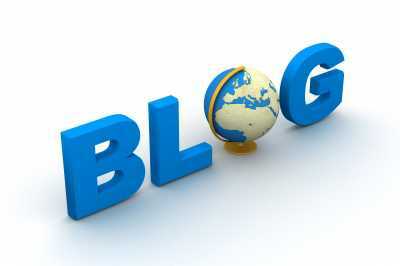 He considers blogs to be the business tool of the 21st century. He writes and publishes posts about freelancing and writing for money. If you want to find a way to get paid to write articles and blog posts yourself then feel free to pay him a visit at YoungPrePro.